It’s about time to go back to Sylt! I have itchy feet somehow… Due to the fact that I don’t really play regularly anymore (which is a shame, I know) I feel like I should plan 10 golf trips in advance! Dubai is booked, a long-weekend-trip to Ireland or Scotland is in the making, but still I feel I could do some more. Lately I’m dreaming about going to Sylt again. This week last year was just amazing. On the picture: 15th hole at Budersand Golf Course, Sylt, Germany; probably one of only three real links courses in Germany. Second golf experience on Sylt: the famous new golf course at the most southern tip of the island: Budersand. together with the 5-star superior Golf and Spa Hotel Budersand, this resort is very worth a golf trip. 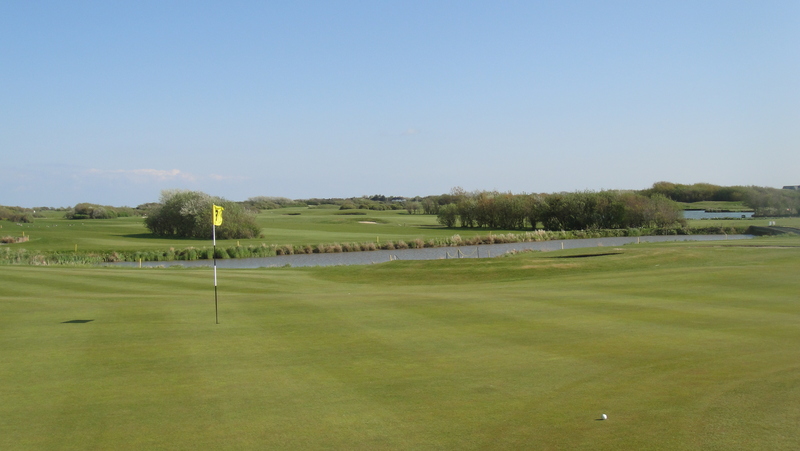 The course is currently rated as 3rd best course in Germany and was ‘Best new Course’ in 2010. 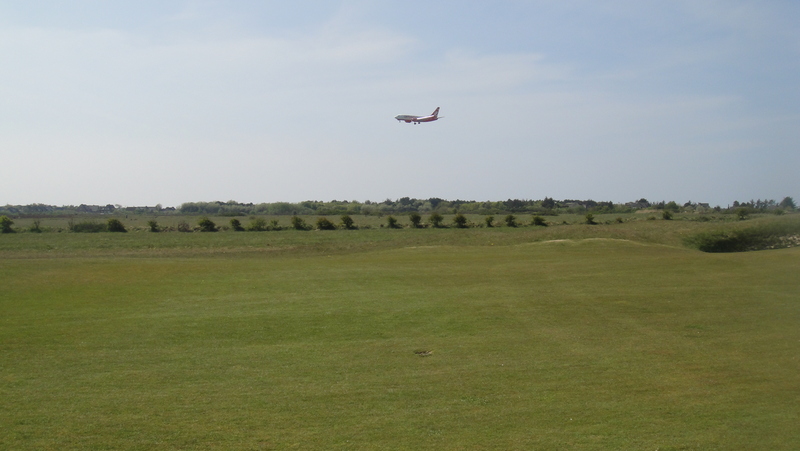 It is a true links course with interesting fairways between hilly dunes and the sea. It’s a beautiful spot out here. At some points I nearly forgot to play and watched, enjoyed and took pictures instead. The course has very narrow fairways, deep pot bunkers and some tricky water hazards. so every player really has to be as precise as possible, should consider to play mostly with irons and has to carry enough balls! There is not much between striking a beautiful shot right on the fairway and – on the other hand – to lose the ball in the hilly dunes just meters away. To be honest: the course is not easy at all and I lost quite some balls, which is bad. Therefore I would recommend to buy a birdie book for 4 EUR, that could help avoiding the most dumbest mistakes. The starter was a funny guy, offered a chat and some coffee and had no problems putting me into the field without tee time. Too bad that I was unlucky with the group in front of me which was the slowest couple ever!! He, 70+, massive guy, driving in a cart, followed by his skinny wife, by foot(!) and both slow like hell! Fortunately they realized the same at the 4th and let me through. After that point, I had a great day: the weather was brilliant, not too warm, not too cold, the wind went down to normal condition as you expect right at the coast and the course was in good shape. OK, the fairways were a bit dry and brown here and there but these greens were the best I’ve ever played! No idea how the greenkeepers can achieve that this early after the winter. Score-wise it wasn’t my best golf day at all! By far! I shot a round of 103 which equals 30 points in my case. that is due to the tough ranking the course has. But I lost too many balls, hence had too many penalties and wasn’t hitting the ball constantly enough (for my liking). Sylt is a unique island and hence has some unique sights. One of the main reasons coming here (for a guy like me) are the perfect possibilities to play golf, because there are not less than three courses on this small island (in fact there is one more, but that’s a private 9-hole course and not an official member of the german golf association). 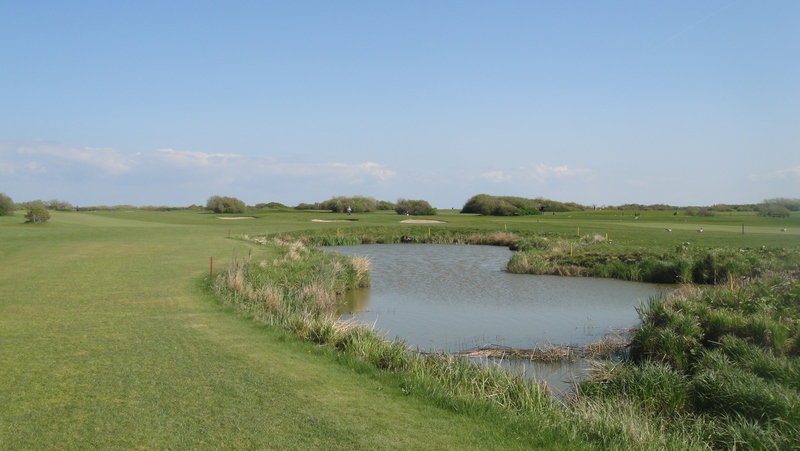 I started my golf-week with playing the most northern German golf course, the Golf Club Sylt, which was only a 3-minute drive by car from our rental house in Wenningstedt. Next to a typical friesian club house there is a modern pro shop with polite people and a professional starter office. The organization was very quick, so from arriving there to getting on the course, it took me not more than 5 minutes. Only downside from my current view: at that time I played the course, there wasn’t a kind of birdie book or strokesaver available (should be 4 weeks later), which was very unlucky because it’s always a mess with courses you haven’t played yet. I personally have problems to get perfect orientation and at least for greens in regulation statistics that would be very useful. So it took me a while to get the distances, the proper approaches and the orientation since I played my round alone and had no assistance by other club members or experienced guests. Especially when there are no signs and no yardages displayed at the tee boxes at all, it makes the round a bit harder…. and the score worse! 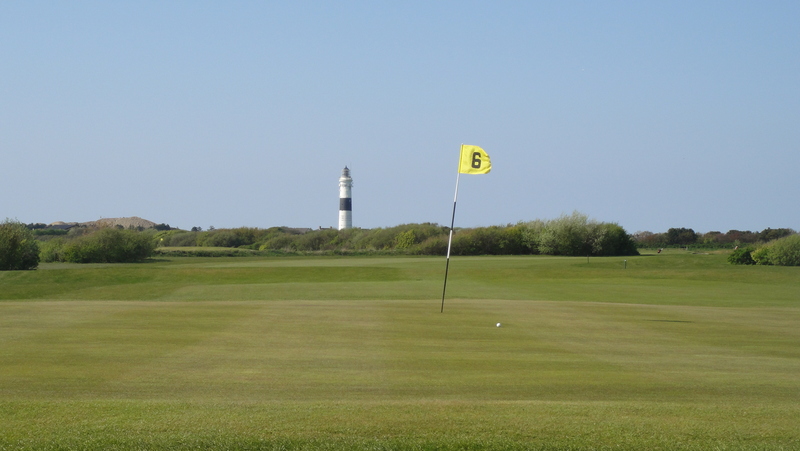 The course is mostly flat and offers beautiful views at the lighthouse, into the dunes, into the heather and onto the sea. The fairways and greens were in good shape, the weather was quite breezy but sunny, there wasn’t much traffic, which all helped to fully enjoy the round. Speaking of scores, I shot a round of 95, what equals 32 stableford points in my case. It’s a fair result under such circumstances! 6 pars were very well appreciated! 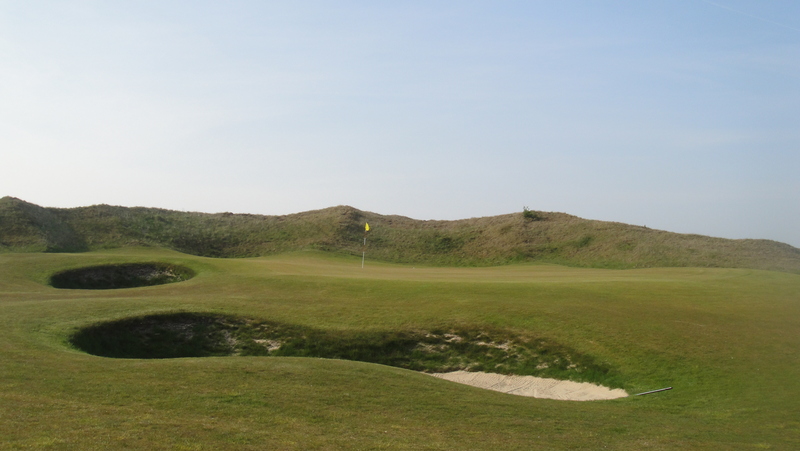 One perfect week on Sylt – full of golf! What a week! I just arrived from a one-week trip to Sylt, the beautiful island in the North Sea. 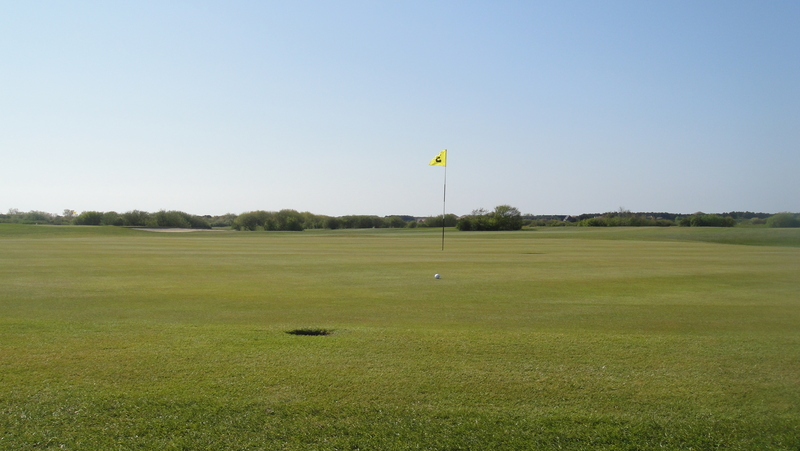 In deed, May is a very good time to play golf on Sylt: Easter is over, so that crowd is gone, it’s not hot enough to swim in the sea or to sun-bath at the beach, so that crowd is not here yet. What’s left is retired people, inhabitants and Sylt- and golf-enthusiasts like me! The island currently is like empty. The difference to July/August couldn’t be bigger: There are no crowds at the beach, no waiting queues in front of restaurants, no problems to get a table in bars and clubs, no Ferraris/Porsches/Bentleys cruising through Kampen and hence no traffic on the golf courses as well! And that was what I liked the most. I planned to play all of the 3 official golf courses, as I already mentioned in another post. I enrolled for a golf-hopping event and was able to play to a fairly low price (of 160 EUR for 3 rounds). The organization couldn’t be easier: Just walk into the clubhouse of the first club you want to play, register for golf-hopping, pay… and play. It’s that easy. I highly recommend it to all of you planning to go there some day! 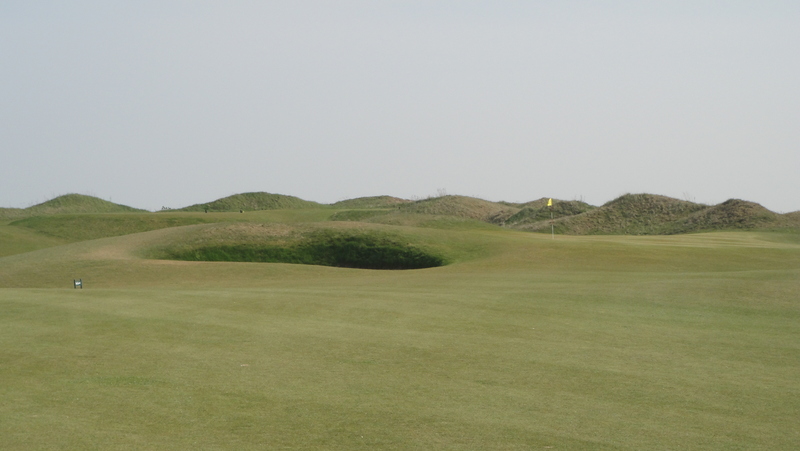 Sylt has three major golf courses. One is old, one is a bit younger and one is only 2 years old. 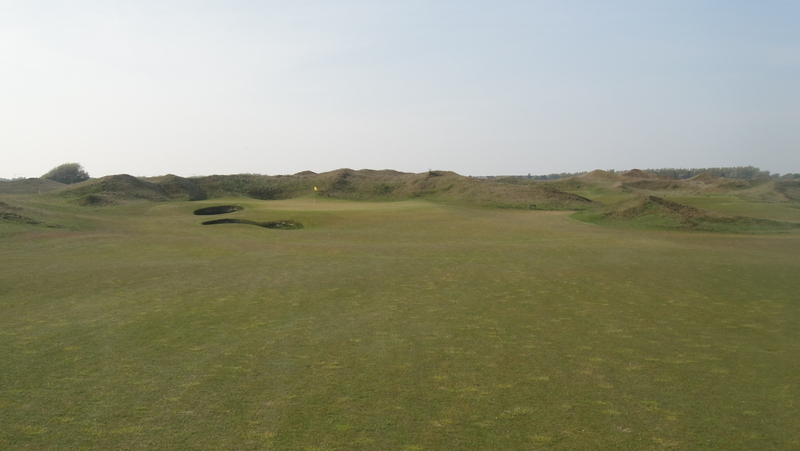 That’s Golf Club Budersand, a new scottish-looking links-course that’s currently belonging to Germany’s 3 best courses (and was rated to ‘best new course’ in 2010). And I think it deserves that title, but more on that later on. However, there were storms and generally breezy weather when we arrived, so every course was, due to their links character, a real challenge! as i mentioned in the course-tracking, i start to appreciate to come around and to play courses wherever i am. so i decided not only to play as many courses as possible in my home town but to go on golf vacation as often as achievable. a word and a blow, some days ago i booked my next golf trip for this year: one week golf hopping on the chic and sophisticated island of sylt in the north sea. it is called “the german hamptons” and everbody who’s been there always wants to come back. not only because of the golf facilities, but for sure because of the beauty of the nordic landscape and the other rich possibilities you have. the “golf hopping” is a combined offer of the 3 golf courses they have on the island (honestly they have 4, but this is kind of a private one). 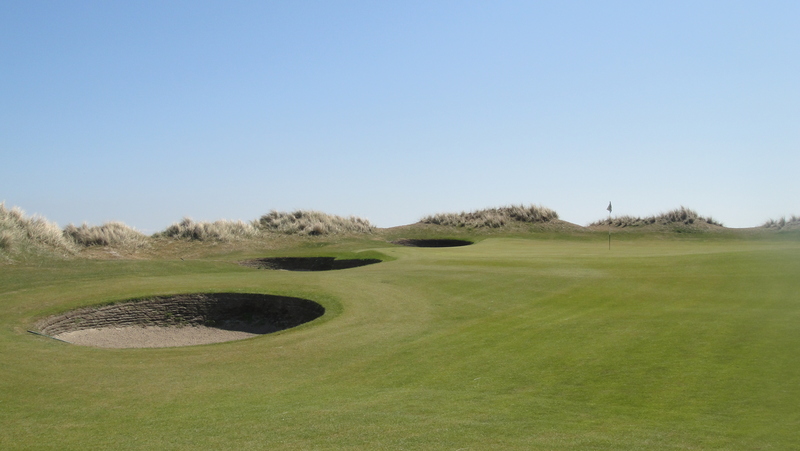 next to the golfclub sylt and the marine golf club sylt, the budersand golf course is the newest and currently one of the 3 best courses in germany! that should be enough reason to go there and play! budersand is a truly links course and therefore one of few real scottish-looking courses in this part of europe. you bet, i’m already a bit afraid of the installed pot bunkers!